CEO, Treasurer, Managing Director and tea-boy at Pickled Egg, Nigel Turner has been responsible for some of my favourite records of the last three or four years. 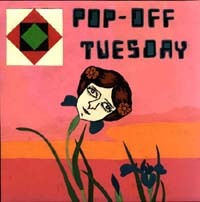 Pop Off Tuesday's debut album was a psychedelic delight, Bablicon's first single a maelstrom of misplaced melody and The Evolution Control Committee's masterful splicing of Herb Alpert and Public Enemy a copyright-busting gem. Recent releases have continued the fidgetful approach to style, not for Pickled Egg a corporate sound, with Farina's future classic merging Morricone and folk, Need New Body straightening out bendy jazz and Gulliver's chansons l'amour. If any one label comes close to epitomising all that I want to say in Robots.. (be open, enjoy music regardless of where it comes from, who made it and what instruments they used) then Pickled Egg is it. This is the full transcript of Nigel's interview for the Where Did It All Go Wrong? feature. Singing along to Beatles songs on the radio (possibly 'All My Lovin'). I must have been about 3 or 4. We didn't get a record player in our house until I was 12. The first record I ever bought was Crazy Horses by The Osmonds - a fine record, I still think. The earliest records I bought were mostly glam rock singles - the only albums I purchased around that time (mid 70's) were the 'blue' and 'red' Beatles double albums, plus Sheer Heart Attack and Queen II (both by Queen) and a Thin Lizzy album. My older brother had a few 60's compilations by the likes of The Beach Boys, The Rolling Stones and The Who - I guess I was into 60's pop as much as anything contemporary. Then along came punk. I suppose you could say this was the first music I got into in a "serious" way. I was only 16/17 at the time, and still at school, so I couldn't afford to buy many records, but my brother was into punk too, so I listened to a lot of the stuff he bought (Clash, Jam, Wire, Stranglers, X Ray Spex, etc). Things moved pretty fast in the late 70's. I guess I soaked up a lot of different types of music then - from new wave, to Two Tone and Post Punk. The early 80's were perhaps the most defining era in my musical upbringing, with an explosion of bands like Joy Division, The Fall, Gang of Four, Teardrop Explodes - all slightly experimental, but retaining some degree of pop-sensibility, and a bit of a punk type edge. Did you read the press? Well nowadays I don't read any of [the music papers]. Throughout the 80's and early 90's I'd religiously buy the NME every week. I never really read it in depth - mainly I'd just check up on the new releases, and find out who was playing live. I was buying two or three albums a week at that time, and going to one or two gigs a week. Nowadays I seldom go to gigs, and maybe buy one or two albums per month, if that. Did you listen to the radio? I listened avidly to the John Peel show from the late 70's right up until a couple of years ago. 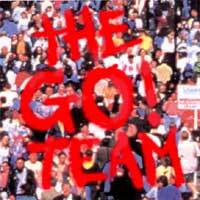 No other show (certainly not on national or mainstream radio) has ever come close to the Peel show in its heyday. However, I think over the last couple of years or so he's totally lost the plot - I find his shows almost impossible to listen to now (and not because they're too cutting-edge). Perhaps they should put him out to grass on Radio 2. I don't recall any music paper tribalism - possibly because all my friends read the NME. The NME was always the 'serious' paper, catering for your art school/intellectual crowd. Melody Maker was pretty conservative by comparison, covering prog type stuff (Rush were a big favourite of theirs, I seem to recall) well into the 80's. Sounds was more earthy/working class. They were always big on punk and metal. But if you were into stuff like Joy Division, Postcard Records, Gang of Four, Cabaret Voltaire type stuff, the NME was the only serious paper. Was it always a bit of a hoax, though, them both being published by IPC? I don't know about that. I guess they had the market pretty much sewn up 20 years ago - there were no glossy monthlies to compete with - so it was probably more a question of trying to cover different aspects of the market with the two papers. Not especially. Paul Morley came out with a few choice quotes though, such as "this man [Ian Curtis] died for you" (at least, I think that was one of Paul Morley's), "is this man [Paul Haig, Josef K] too sensitive for this world". He always had his "favourites", did Paul Morley - Davey Henderson (Fire Engines), Edwin Collins, the aforementioned Curtis and Haig. Mind you, he later ruined everything by backing Frankie Goes To Hollywood. Enough said. There were other good writers - Edwin Pouncey (still writing for the Wire), Barney Hoskyns, Chris Bohn (now editor at the Wire). In fact, quite a few of the 80's NME journalists now write for the Wire. Interesting that you start out with this premise (which is perfectly true, of course). I guess there's been a gradual decline over a number of years. I'm not entirely sure when it started - probably around the mid 80's, accelerating rapidly throughout the 90's. Was there a point at which you thought "I could do this better myself"? For some reason it took me until 1997 to start a label (although I'd had a couple of completely unsuccessful attempts before that - and I mean unsuccessful in the sense that I never actually released any records!). It struck me that "indie" music was slipping further and further into the ghetto, and "dance" music had become stale. I don't know that Pickled Egg has made any difference, although I'd like to think that I've made a small contribution towards opening up people's minds to different styles of music. A common accusation levelled at my label is that it doesn't stick to any one genre. This is true, and it's quite deliberate! The whole music scene needs waking from its slumber, in my opinion. Pickled Egg alone won't do that, but at least it's tugging at the beast, and who knows where it might lead? [Well] I'm not sure that the music has necessarily got any worse. There's still a lot of good music around, but I think the problem is that its much more diverse than it was, say, even 10 or 15 years ago. There was once just mainstream, then there was alternative or counter culture (from the late 60's), and then there was the counter-to-the-counter-culture (stuff like the Velvet Underground, The Stooges, and the early punk stuff ,although punk very soon became the official alternative, before getting consumed into the mainstream). There's been a general 'dumbing down' in the music press, which has been getting steadily worse, for a number of years. To some extent this mirrors the so-called "Lad Culture" that is pretty much rife everywhere (style over content), though I think its roots go back further in the music papers. I think there's also more of a tendency for the music papers to conform than there ever was. You only have to scan through a selection of the press each week or month (and this is something I still do when hopeful of finding reviews of my releases - misplaced optimism, or what?! ), to find that the same handful of releases are covered in almost every single publication, to the complete exclusion of all others - and it's not as if these are the cream of the week's/month's releases! There may well be more outlets for music - national papers, glossy mags/style mags, more TV and radio, internet, etc - but by and large the choice is more narrow than it ever was. Again, you find that the mainstream media cover the same narrow spectrum of music, fed by the record companies who as often as not are run by the same companies who own the media. Non-mainstream music has become ever more ghettoised, limiting its sales potential. A left-field release in the early 80's - something like Pere Ubu or Young Marble Giants, for example - might reasonably have expected to sell 20,000 or 30,000 copies. Even ten years ago, sales of 5,000 or 6,000 weren't uncommon. Today, however, comparable releases can be considered successful if they sell 1,000, which frankly I find very depressing. Dance releases can sell more, but they can really be considered mainstream these days. Have you been personally affected by press coverage over recent years? Chance would be a fine thing! Of the few reviews which I have received, most have been favourable, although there have been a couple of bad ones (spectacularly bad in the case of the Melody Maker (oh, how I miss them) review of the first Bablicon LP - "certainly the worse album ever made" - I mean, praise doesn't come much higher, does it!). However, when you read most of them, you're left wondering how much of the record (if any) the reviewer actually listened to. I realise that music journalists receive vast numbers of records each week, but if they're going to make a meaningful effort of reviewing them, then surely they would be better off restricting the number of records that they listen to, or spend more time listening to each one. After all, what's the point of the exercise, if so many great records (and I don't mean just my own releases) are falling through the net? Surely editors could divide the reviews out in a better manner? Press coverage of Pickled Egg has at best been sporadic. There was a short period around the beginning of 1999 when the NME reviewed 4 of my releases (all favourably), but since then, virtually nothing. How long do you think the NME will last in its present format? It's already been dead for a number of years, so it's just a question of how long the life support machine (IPC) can keep the thing going. My guess is they'll pull the plug inside 12 months. He's probably right. Check Picked Egg out at www.pickled-egg.co.uk.